32 items found searching fields on 3 pages. 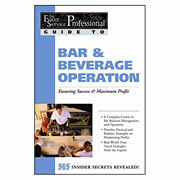 Food Service Management: How to Succeed in the High-Risk Restaurant Business�By Someone Who Did reveals all the hidden facets of the fast-paced restaurant business and show you how to succeed as a food service manager. The author, Bill Wentz, speaks from successful experience, making his advice all the more valuable. Wentz... more. This comprehensive new book will show you step-by-step how to set up, operate, and manage a financially successful personal chef business. The author has left no stone unturned in explaining the risky business of food service. What you will learn is all the aspects of starting your business, pricing your products, marketing your business ... more. This is the A-to-Z guide to making it in your own small bakery. Includes a companion CD-ROM which contains pre-written, editable business plan and financial statements. Never before has so much practical information about the bakery business been offered in one book.... more. This comprehensive handbook with companion CD-ROM will clearly demonstrate how to set up, operate and manage a financially successful bed and breakfast or small hotel.... more. 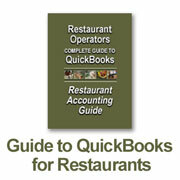 Here is the manual you need to cash in on the highly profitable pizza and sub restaurant business. 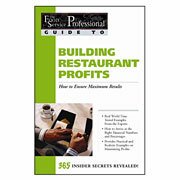 This new book is a comprehensive and detailed study of the business side of the restaurant. It will arm you with everything you need including sample business forms, leases, and contracts; worksheets and checklists for planning, opening and ... more. If you plan to open a specialty retail store or a small store inside an existing retail space, then this book is a must. This book shows how, with minimal effort and a small investment compared to other businesses, you can start your specialty store and be highly profitable!... more. This product helps you to create a business plan that precisely defines your business, identifies your goals and serves as your firm's resume. Components include a current and pro forma balance sheet, an income statement and a cash flow analysis. It helps you allocate resources properly, handle unforeseen complications and make good busin... more.